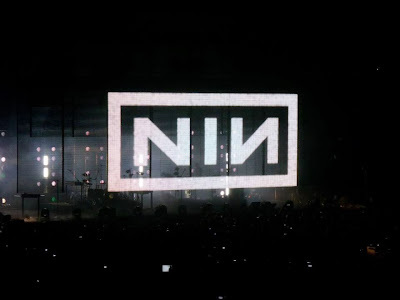 Last Friday night, I saw Nine Inch Nails perform live for my 3rd time ever but it was my 1st non-festival NIN experience & it was NIN-CREDIBLE!!! 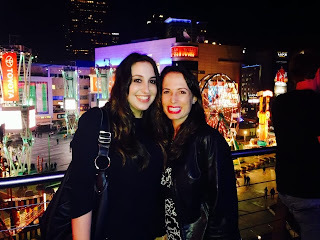 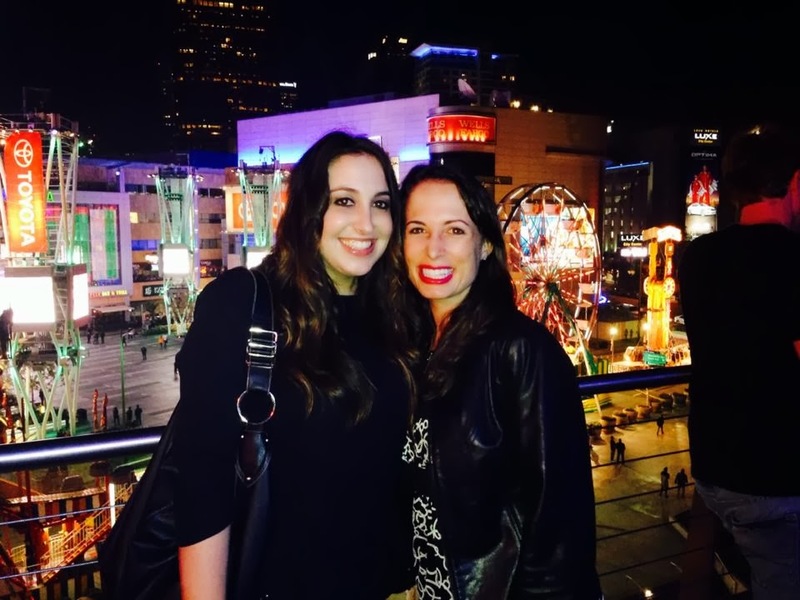 The icing on the cake was 1 of my dearest Coachella friends, Lyndsey, who I hadn't even seen in about 3 years flew down to LA from Portland just so she could attend the show with me (& also so we could play the rest of the weekend of course). 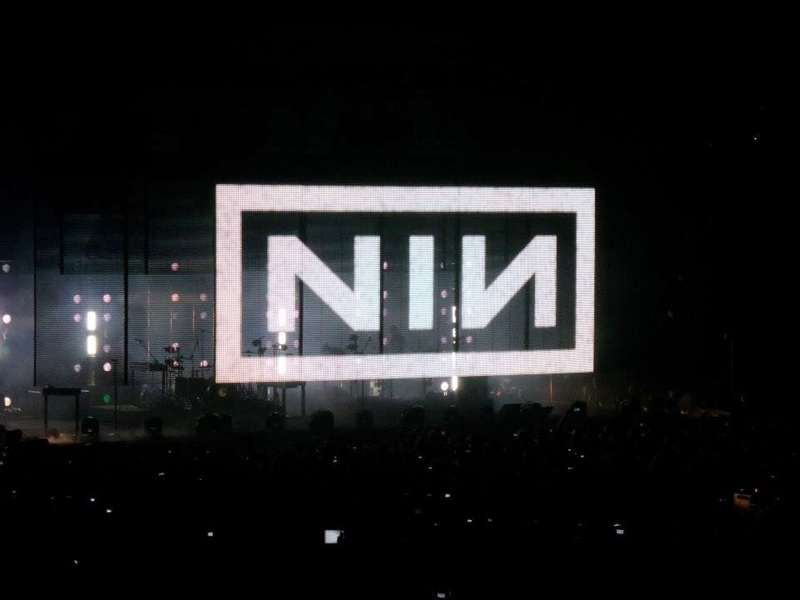 Lyndsey couldn't have picked a better artist to make a special trip to LA to see because NIN boggled the mind of every single person inside the Staples Center for a solid 2 hours & 15 minutes. It was breathtaking. 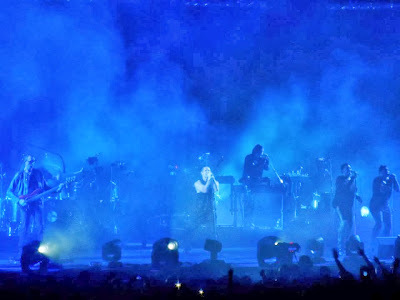 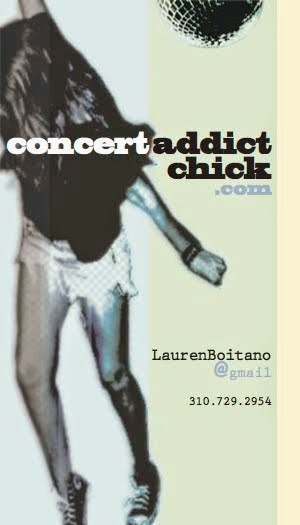 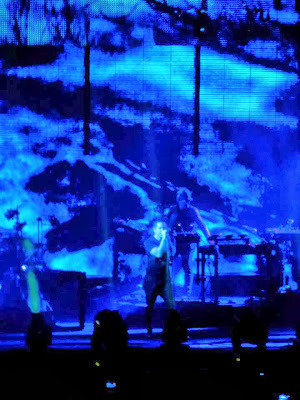 Touring with How To Destroy Angels (Trent Reznor's most recent side project) clearly influenced NIN's comeback tour. 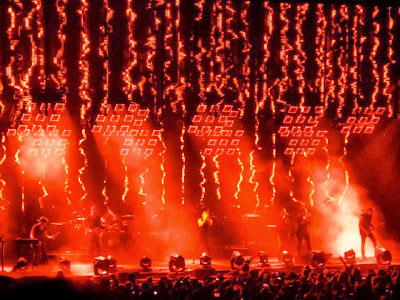 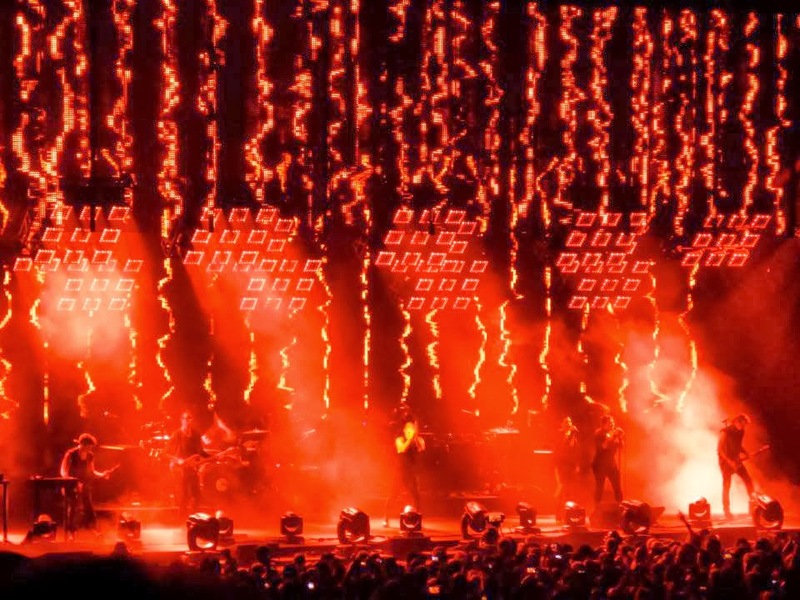 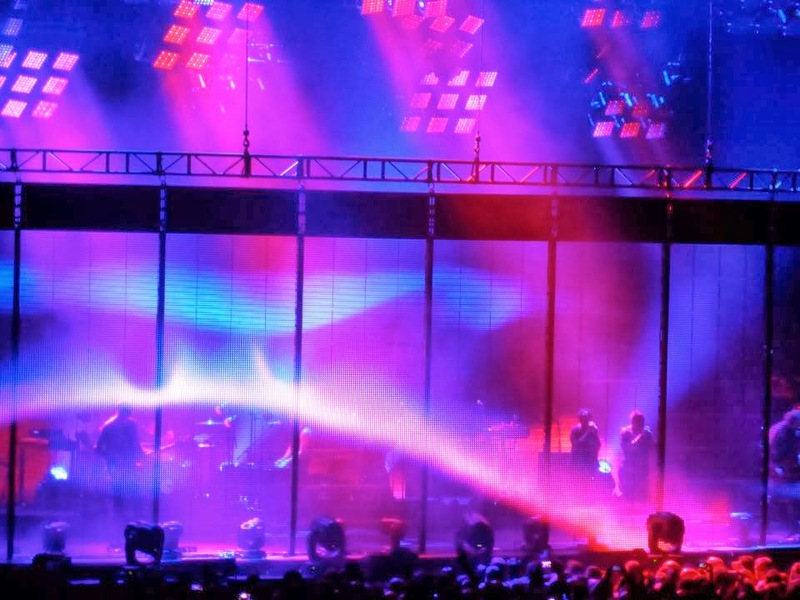 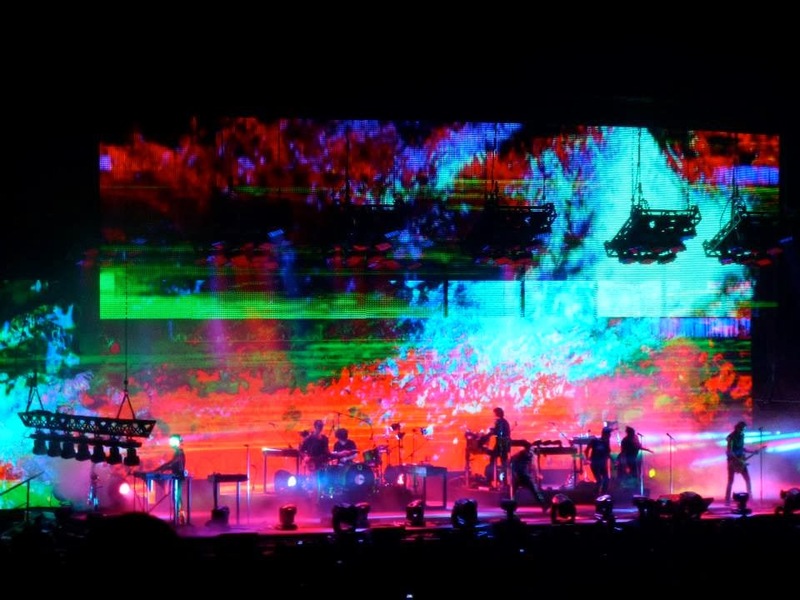 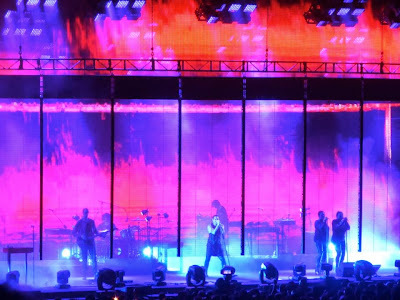 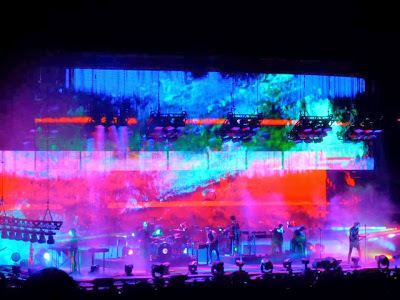 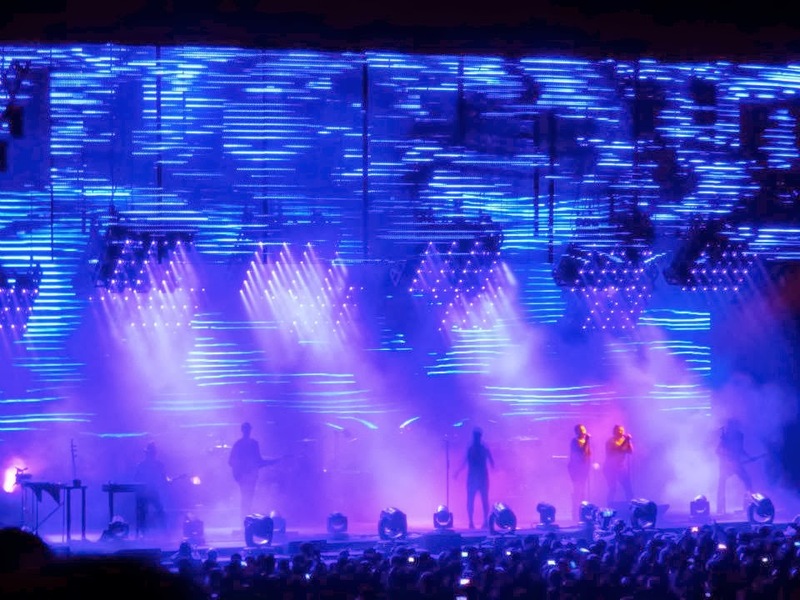 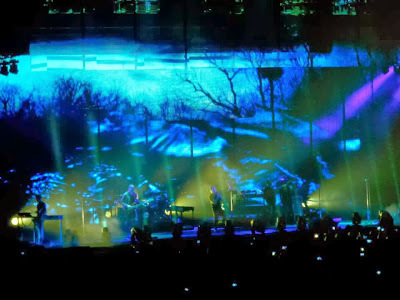 The technology used to create NIN’s visuals is unlike anything I’ve ever seen (EXCEPT for the 1 time I saw HTDA perform at Coachella this past April). 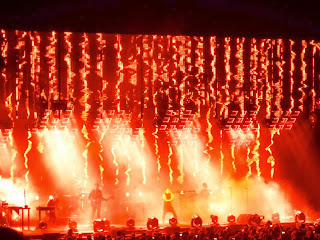 It's 1 thing to throw some cool stuff up on a screen behind a band but it's entirely another to fully engulf the band in screens layering images & lights on top of the members while they play. 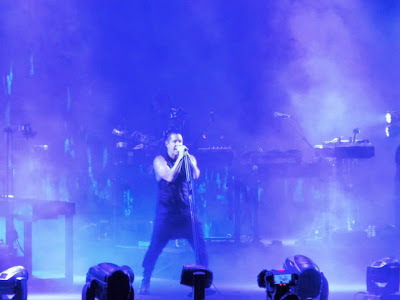 Also, as far as I know, NIN has never integrated female vocals into their music but, this time around, Trent had 2 very talented female backup singers adding a gorgeous, new element to already super solid NIN material.